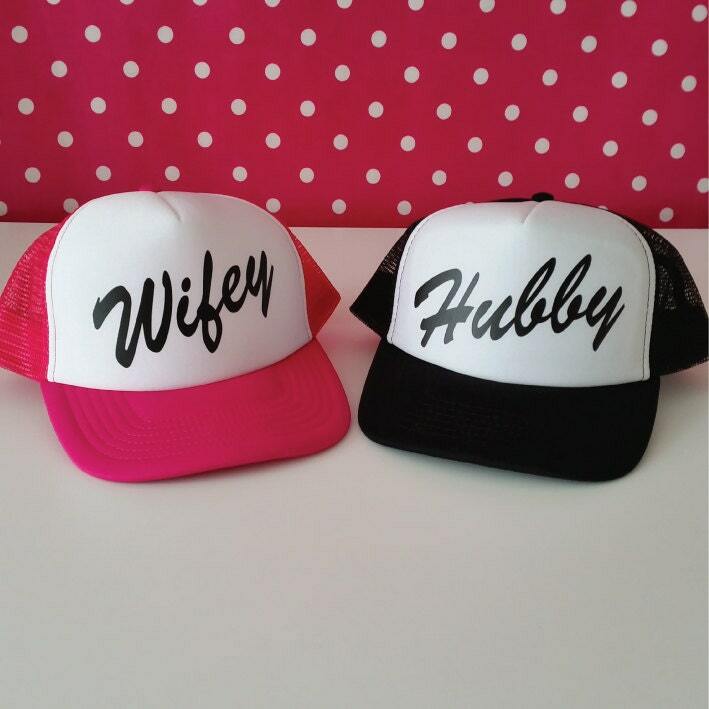 Wifey and Hubby Trucker Hats. 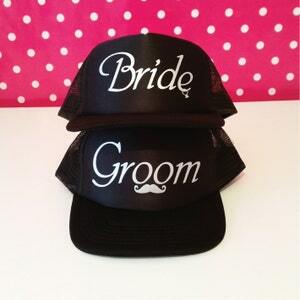 Set of Wedding Caps. 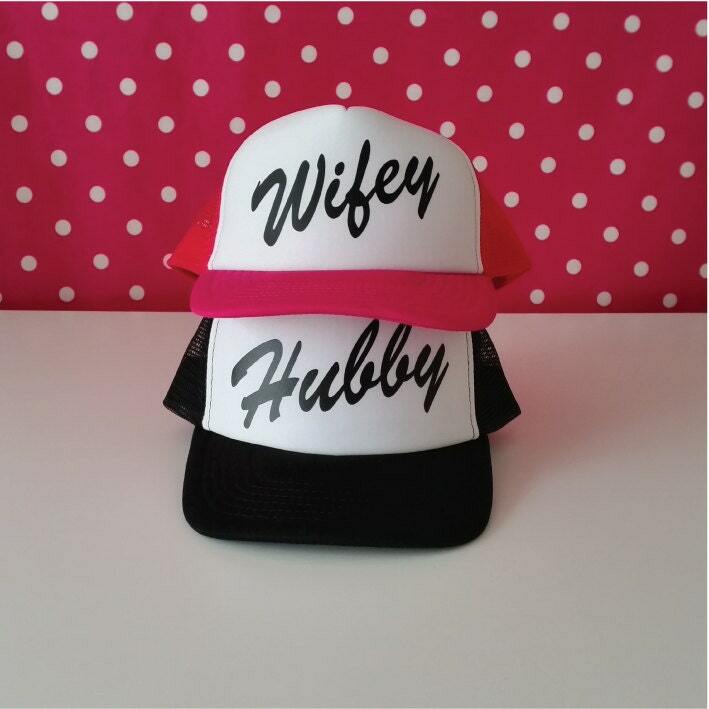 Wedding Gift for the Couple. Honeymoon Gift. Wifey Cap. 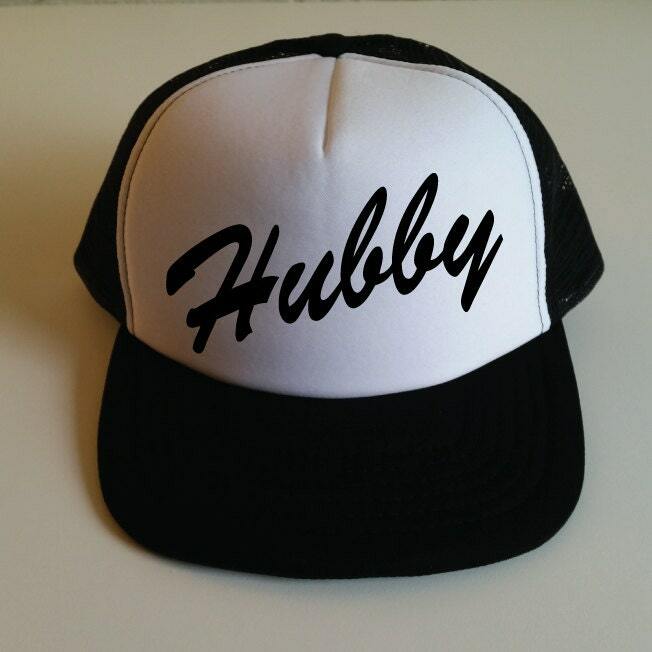 Hubby Cap. Snapback. Photo Prop. This Wifey & Hubby Snapback Trucker Cap Set of 2 is perfect for wearing on Honeymoon. Also makes a great Annivesary Gift and Photo Prop. 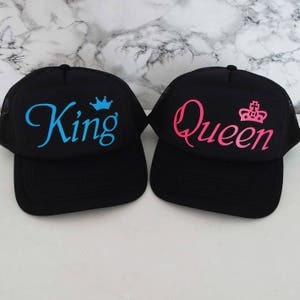 Thank you so much I superseded my husband with our hats when I picked him up from the airport. I love them!